aGupieWare: Pimp My Corporeal Ride: Smart Skin! As discussed last week in our electronic tongue article, the human senses are being well replicated in the technological world. But one particular sense - touch - has been implemented more on the giving than receiving end, up until now. While many forms of technology respond to a tap or swipe on a screen, the sense of touch has not been reflected electronically for the user like an electronic eye or hearing aid might. However, now a company has invented prosthetic "smart skin" that can "feel" what it touches, making false limbs seem functionally real again. As reported by cnet.com, researchers at Seoul National University, South Korea have developed the smart skin by using layers of sensors enabled by ultrathin, single crystalline silicone nanoribbon. Where formerly only pressure was detected (to allow the user to tell if they were applying too much force with their awesome robot hands), now the sensors can indicate if the "skin" is being stretched too far or is in a humid environment. The stretchable sensors, which are layered for durability, are connected to a multi-electrode array that targets the body's nerves via platinum nanowires and ceria nanoparticle electrodes. Combined, this accurately simulates the sense of touch, even down to onboard "heaters" to make the smart skin seem warm. Just don't try to tattoo anything on it. Used all together, the effect is realistic. 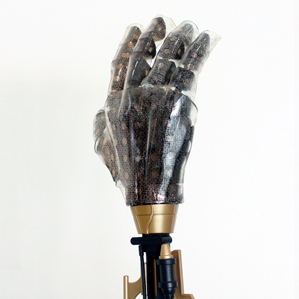 According to the study's abstract, "This collection of stretchable sensors and actuators facilitate highly localised mechanical and thermal skin-like perception in response to external stimuli, thus providing unique opportunities for emerging classes of prostheses and peripheral nervous system interface technologies." 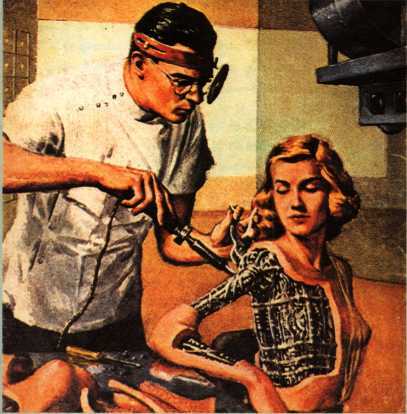 The fresh flesh allowed for prosthetic hands to discern the sense of touch while performing many routine tasks, such as grasping things, shaking hands, typing, touching wet or dry objects, and other unspecified "human-to-human contact." So if you're in need of a physiological overhaul, or if you're just busy already designing your future brain-download's robot body, now "smart skin" is in. 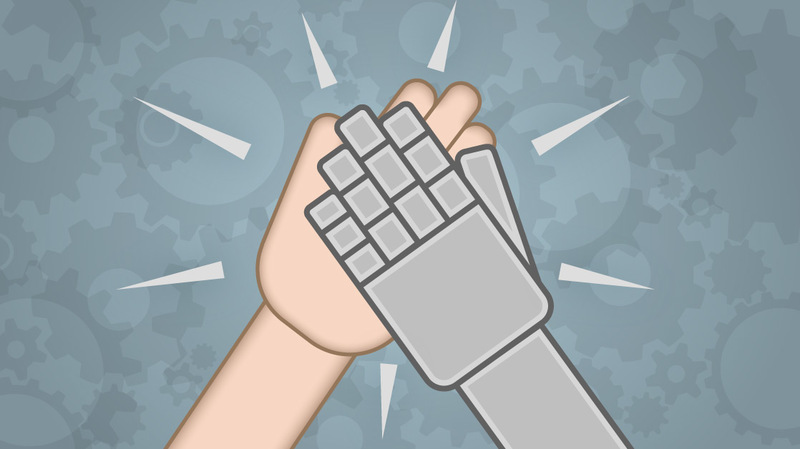 Even the least intelligent sensors of the smart skin know how to sense a high-five. Wow, great innovations. I'd like to have such a "smart skin", it's like super power ) Espesially cosidering that the whole effect is so realistic and allows hands to discern the sense of touch and warmth of the skin. It much better than a lump under the skin which I used to have ( And all I could do was wait untill they healed on their own, because they didn't require medical treatment.